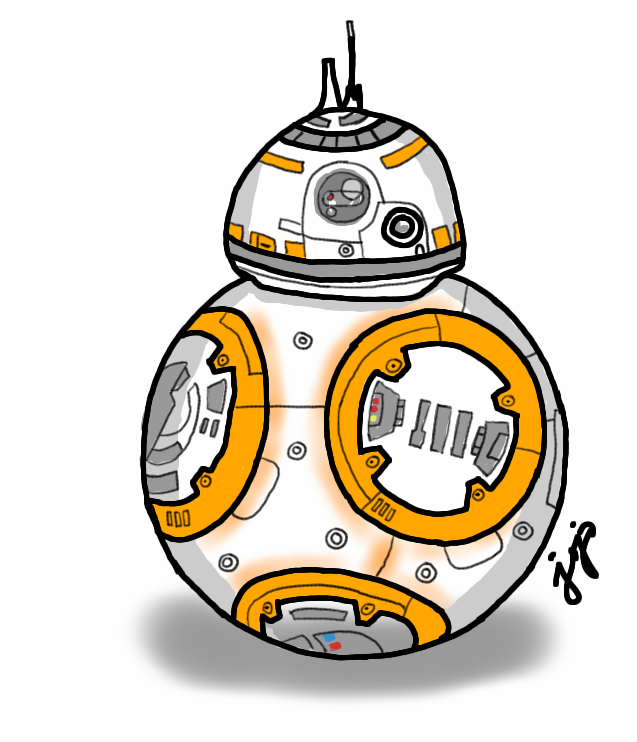 Small circle, small circle, big circle… BB-8! 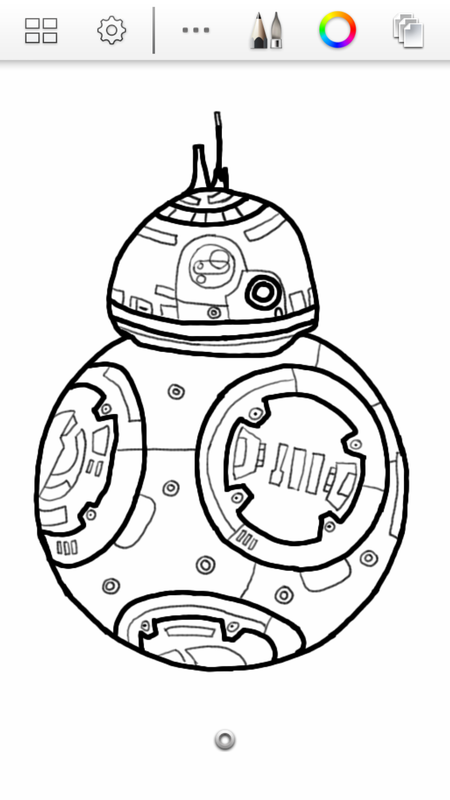 Well, BB-8 is the most easiest to draw among all the popular robots in Star Wars. BB-8 only consists of circles and lines, unlike C3-PO and R2D2. BB-8’s color is also simple, just orange, gray, and white. I remembered my teacher when I was in kindergarten teaching us how to draw a bear and it went like this, “small circle, small circle, big circle… six time six, six time six, thirty six” and that’s what I can still remember. Does anyone still remember this song? I hope you like my cartoonish drawing of BB-8… As before, I am using the Sketchbook app of my Android device. Thanks, goodness it’s Friday now in my side of the world!